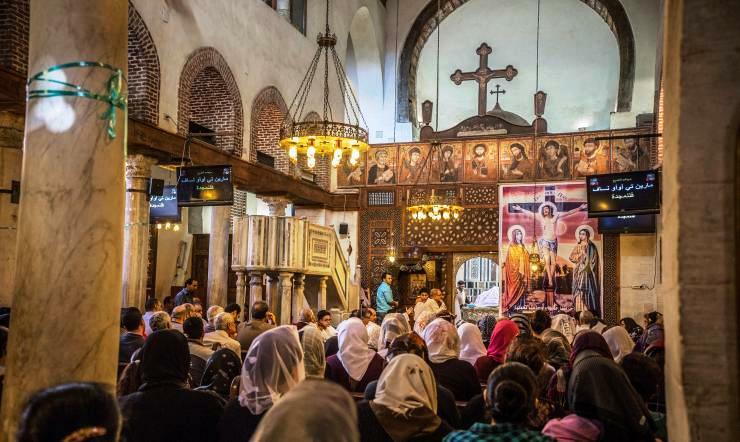 SouthworldChurches December 2018Egypt. Ecumenical Dialogue Lost. The comfort of political correctness to the detriment of ecumenical dialogue. 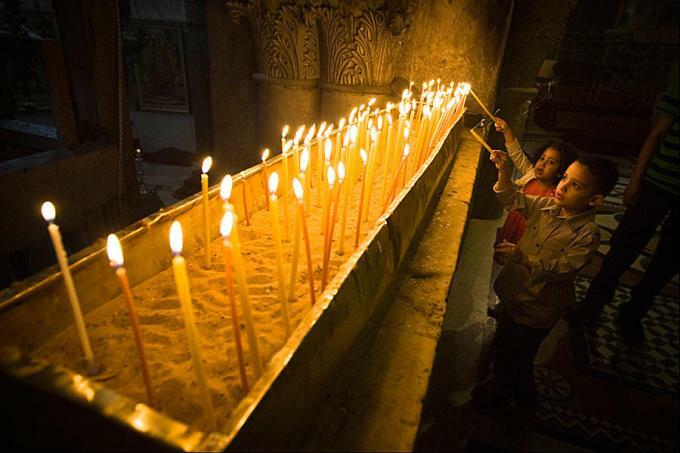 In an Egyptian context where Christians have a loose sense of belonging in their original ecclesial communities. A Comboni Missionary, who has spent twenty-five years in the country and attended ecumenical meetings said: “When religion has meaning and gives meaning to life, it can accommodate life’s contradictions and dilemmas, then dialogue between life and religion can open a realistic ecumenical dialogue”. 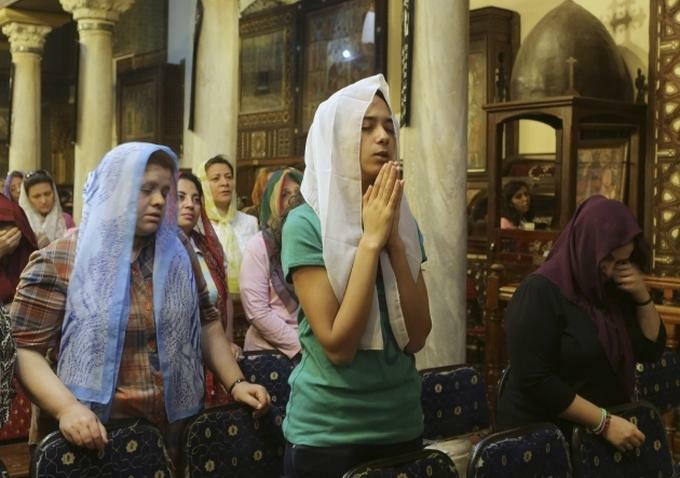 In the last seven years the political demands on Christians of all denominations in Egypt have forced them to form a representative body to agree on articles of the refurbished constitution of the Arab Republic of Egypt. Before the formation of the legal ‘Committee of 50′, all Egyptian Christians representatives, before the referendum of the reformed state constitution, were offered a unique opportunity to contribute to a document that would dictate the laws of the state. The Coptic Orthodox Church had its priority as the indigenous Church, the Seven Catholic Rites of the Patriarchal Bishops’ conference in Egypt, was represented by a Coptic Catholic Bishop (professor of canon law), with numerous Evangelicals, Baptists, Presbyterians and Anglicans. The future of the minority Christians in Egypt was in the hands of church representatives, who for the first time had to appear united within the heart of state legislation representing Christian Egyptians. Most of the Egyptian Protestants are originally Orthodox or Catholics, thus from a reality of competitiveness and self-preservation, suddenly they had to think, evaluate and present a united front after living for decades as opponents. Muslims in the ‘Committee of 50’ saw how the Catholics position on divorce stood out like a sore thumb. All Christian denominations have different degrees of dissolving the bond of marriage except the Catholics. Islamic law allows divorce as a norm as well as polygamy so how could Catholics fit in such a society? Equality between men and women in legal inheritance in Islamic society favours men more than women; so where is Christian equality? The Coptic Orthodox Church is officially native to Egypt and therefore civil duties and rights depend there on their physical, numerical, national affiliation. Many fled to other countries from the continuous discrimination, injustice and persecution. Those who remained connected with the West through Christianity, acquired Protestant affiliation, and many then become Protestant pastors with qualification from the USA, Canada and other English speaking countries. If Catholics did not have the charismatic preachers, they certainly gathered in their schools a unique congregation of all denominations with a majority of Muslim pupils and students. The successful impact on education attracts a national dream for parents to send their children to Catholic schools. The schools are run by the Christian Brothers of De la Salle, the Jesuits, the Franciscans, the Sacred Heart Congregations, Notre Dame de Marie, just to mention some. The Catholic schools by fame have had a privileged place for transmitting Christian values and Catholic ethos, but the Patriarch Pope Shenouda III excommunicated any family that allowed their children to attend the schools’ Holy Mass. An obligatory school syllabus in the official curriculum, portrays Christianity as alien, a European religion that entered the Middle East through the Crusades. An image affirmed by the study of the Islamic expansion read in history classes. The humble Christian origins of Bethlehem and Golgotha are taught in Christian religion at school through apocryphal stories of the Holy Family in Egypt, without seeing any link with the church of today. 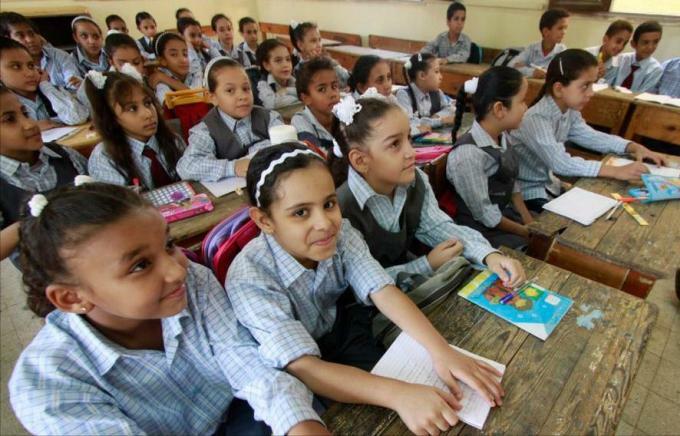 Trying to teach the government approved curriculum, which the Coptic Orthodox Church prepared, did not leave room for any other denomination to have a say in the teaching of the Christian religion since it is an obligatory subject. Despite the priority of religion in the curriculum, the depth of distorted information is flabbergasting to the learned, while the frustrating persistent ignorance masked with set clichés and 4th century doctrines result in a fragile faith community with rich religious practices. Pope Shenouda III in 1972 signed a mutual recognition of their respective traditions and the sacramental life of the churches with Pope Paul VI. In practice this would have robbed the national primacy of the Orthodox Church with the Egyptian government. The visit of Pope Frances in April 2017 and his encounter with Pope Tawadrous II commemorated that event in Cairo with a signing of a mutual commitment to dialogue, an act that was contested by a number of the Synod of Bishops. 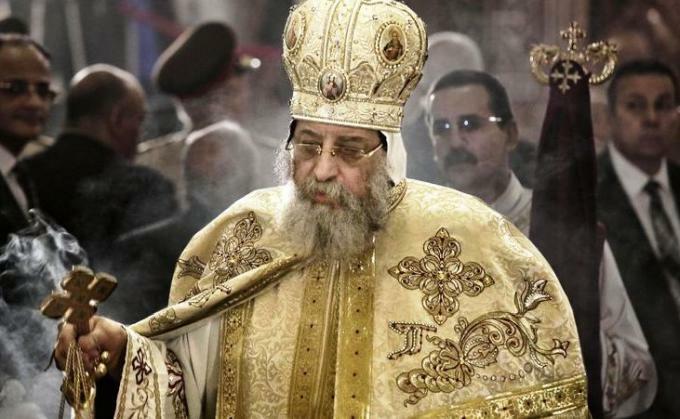 Pope Tawadros II of the Coptic Orthodox Church. Presently the Patriarch of Alexandria has serious difficulty in getting his hierarchy on board the journey of dialogue, change and reconciliation. Celebrating Christmas and Easter together remains an educational challenge for the entire body of believers who uphold Adam and Eve as historical persons and Paradise as a geographically attainable place. The greatest challenge for a sustainable journey of dialogue is the quest for true knowledge of our traditions. Not only an academic, but a lived knowledge of the meaning of religious practices, in order to recover the values they enclose. Trapped in rubrics, rules, commandments and laws, the spirit of the human heart is oppressed and the Holy Spirit unheard. The life sap of religion is its faith and the dynamics of living faith lies in its spirituality and morality. Then religion can make sense. When religion has meaning and gives meaning to life, it can accommodate life’s contradictions and dilemmas, and then dialogue between life and religion can open a realistic ecumenical dialogue. If we do not stop and learn with sincerity from our history, then our ecumenical dialogue is lost, so also is our Paradise.